Both platforms are showcased below. 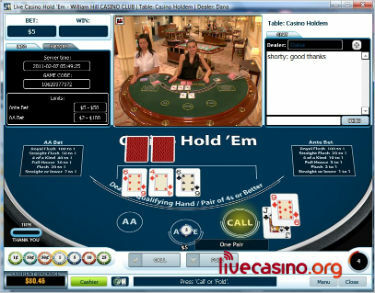 High definition video stream, and intuitive bet interface with full roadmap stats. 7 seat multiplayer blackjack. 8 Decks, shuffled mid-shoe, blackjack pays 3:2. 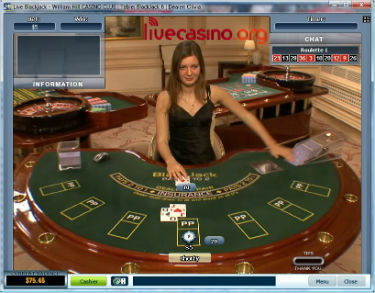 European roulette streamed in high definition to an intuitive interface. 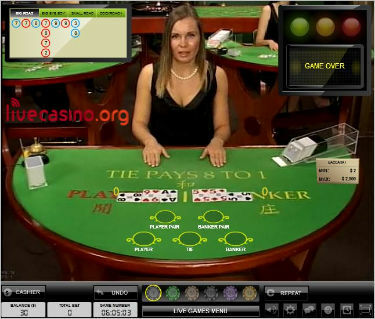 The video is highly customizable by the player for different floor/dealer/wheel views. This is a player versus the house poker game. Beat the dealer's qualifying hand and you win even money on your Call Bet and a payout of up to 100:1 on your Ante. 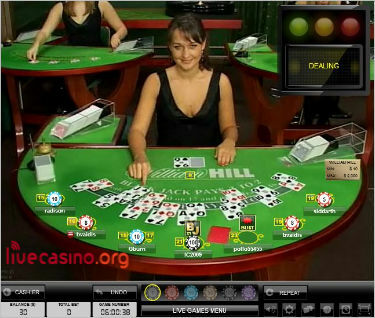 Presented in mini baccarat format, offering standard Player (1:1), Banker (0.95:1), Tie (8:1) bets and Pairs side bets. Limits are substantially higher than the Playtech powered baccarat game. 7 seat multiplayer blackjack dealt from an 8 deck shoe. Re-shuffle is after approximately 4 decks. William Hill offers players the ability to choose from 2 of the leading live games platforms - playable from the one account login. Limit range is expansive with both the lowest limit live games as well as some of the highest maximum bets allowed online. All this combined with the peace of mind that comes with transacting with one of the UK's largest listed companies.